The issue of application security continues to dominate headlines, and with an ever changing security landscape organizations are tasked with not only preventing attacks similar to those seen in the news but also to protect against future evolved attacks. This webinar will review the year's high profile hacks and pinpoint where companies were tripped up by the small cracks in their Software Security programs. 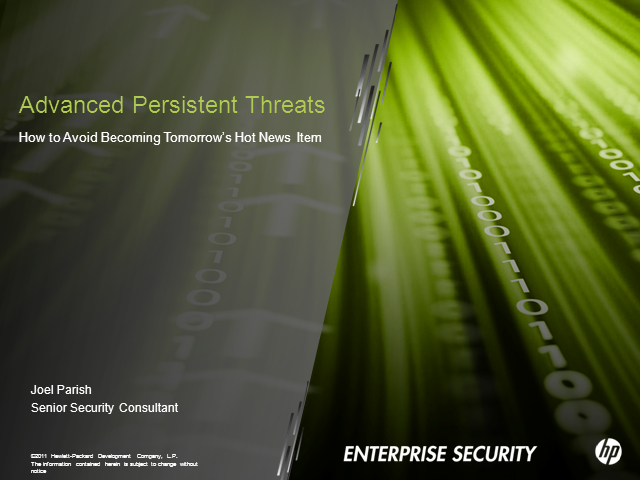 Attendees will walk away with actionable knowledge of advanced persistent threats, how to identify their company's security posture and what remediation efforts can help fill in those holes.